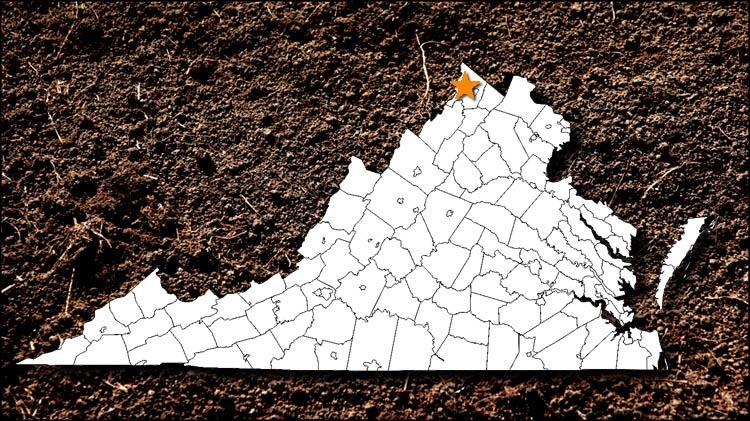 We are a small but active ASV Chapter that primarily covers the lower Shenandoah Valley region which includes Frederick, Clark, Warren and Shenandoah Counties but also work on projects else where in Virginia. Over the years our members have long history of working with professional archaeologists on many historic and prehistoric sites. Our meetings are open to the public and membership is open to anyone that is interested in learning and participating in the various aspects of archaeology as part of the Archaeology Society of Virginia’s curriculum. Please check out the chapter’s website to learn more about projects and information. Meeting information: Meetings are held the 3rd Monday of each month at 7 pm at 805 Fairfax Street, Stephens City, Va. Historic Clermont Farm archaeology field surveys, Berryville, Va.
Leedstown Freeman’s settlement site, circa 1800-1860, Warren County.